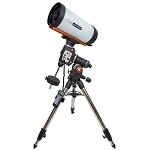 Celestron put together the CGX-L Equatorial 1400 HD 14" f/11 Schmidt-Cassegrain GoTo Telescope to provide a complete observational platform that includes a large-aperture OTA, the NexStar+ computer hand controller, an updated motorized equatorial mount and tripod, plus an array of accessories to get you set up and observing the Moon, planets, and especially deep-sky subjects like nebulae, galaxies, and star clusters. 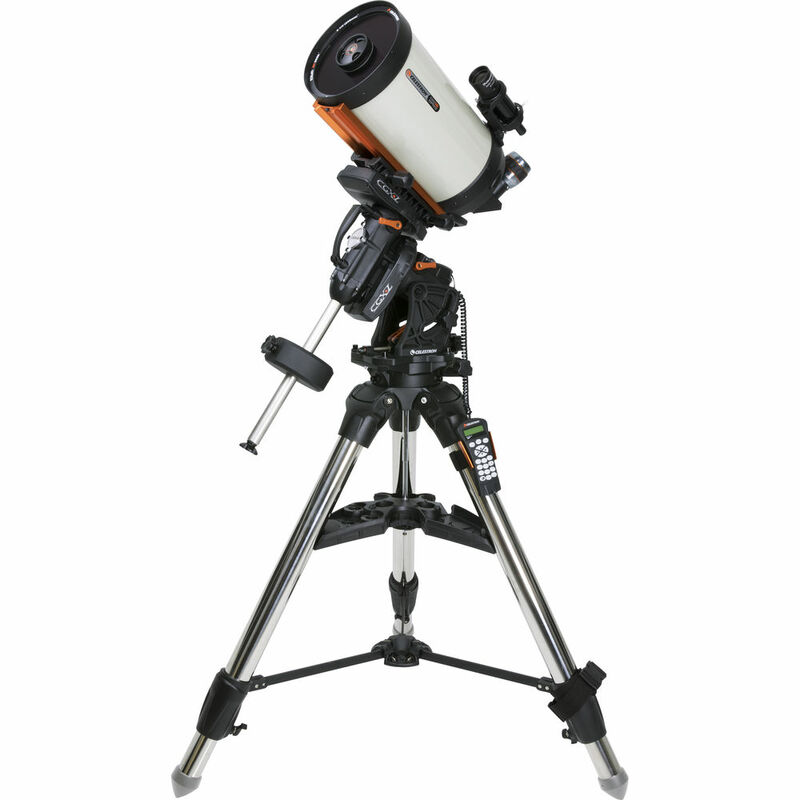 With an upgraded payload capacity, tripod, and internal gears, the Celestron CGX-L GoTo EQ Mount improves on their venerable CGX platform to provide users with a heavy-duty research-quality mount for larger OTAs, accessories, and imaging rigs. 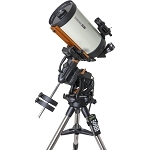 Engineered to carry a 75 lb payload, and outfitted with high-torque motors, and a heavy-duty belt drive system to improve tracking stability and reduce backlash, it is able to smoothly and accurately track near and deep-sky objects for extended periods of time. The Vixen/Losmandy dual dovetail saddle has also been lengthened to 10.6" to improve stability and offer greater security for larger OTAs. To provide a solid platform for the mount and your OTA, a heavy-duty stainless steel tripod is included, sporting massive 2.75" diameter legs, an accessory tray that doubles as a stabilizer, and an adjustment range from 35.75" to 52.75". The minimum height has been lowered almost a foot versus the earlier CGX model to accommodate a wider range of users and different observation positions. 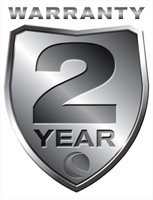 The brains of the CGX-L is the venerable NexStar+ computer controller. Equipped with a database of 40,000 objects, including the planets, stars, nebulae, galaxies, and the complete Messier catalog, it can also be programmed with up 200 custom user-defined objects and filters added for custom object lists. 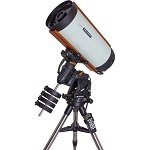 Its intuitive menu-driven user interface gives you the power to observe the heavens with nine slew speeds, three tracking rates, anti-backlash compensation, and Permanent Periodic Error Correction (PPEC) for smoother movements in the motors and improved tracking over time. 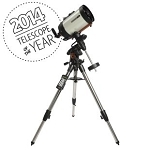 Features such as guided tours, extended information on 200 popular objects, and multiple alignment options, make the NexStar+ controller easy to use and invaluable to both new users and experienced star-gazers. 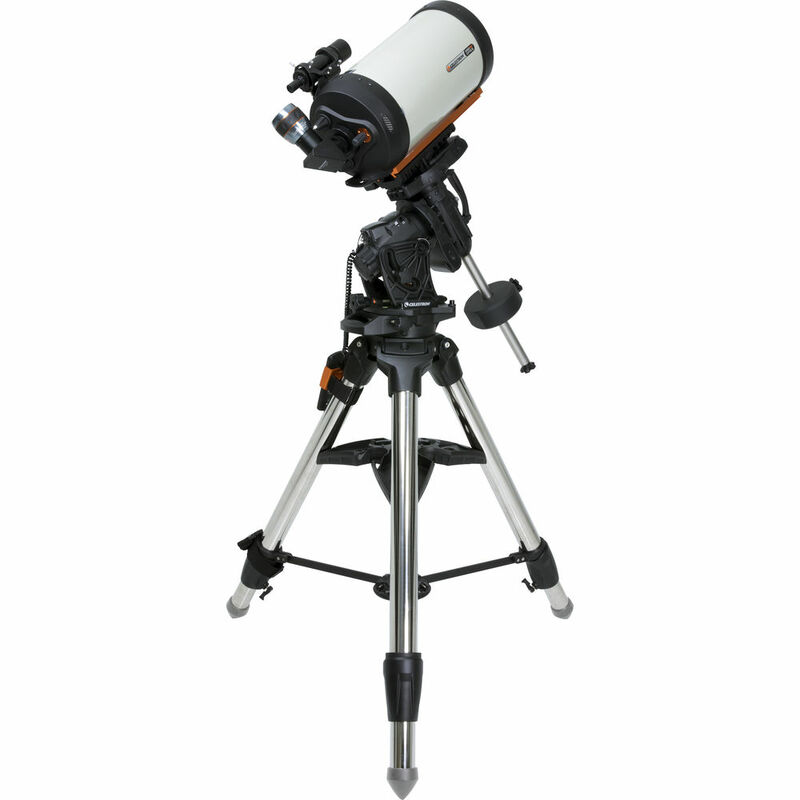 Adjustable-height from 35.75" to 52.75"
Tripod height adjustment range 35.75" to 52.75"
Box Dimensions (LxWxH) 10.4 x 9.6 x 5.6"